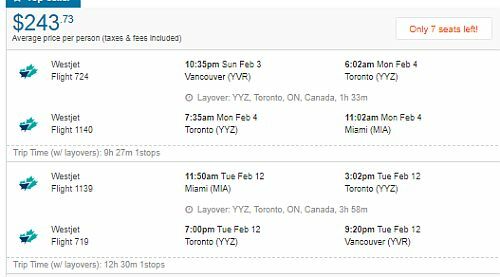 WestJet has dropped the price of some of their winter 2019 flights from Vancouver to Miami, Florida down to $270 CAD roundtrip including taxes. The flights have 1 stop in Toronto each way. 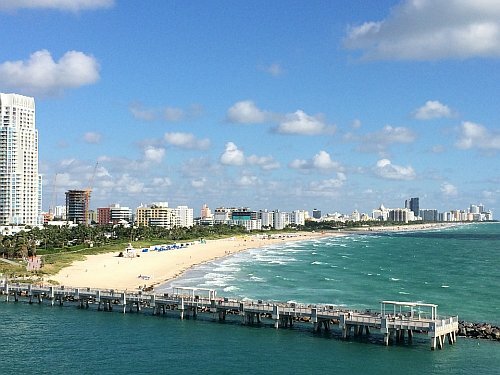 Update 11/8: There are now flights from Vancouver to Miami available for $243 CAD roundtrip. See update below. For longer trips, you can try mixing and matching the dates from different lines in the list above. 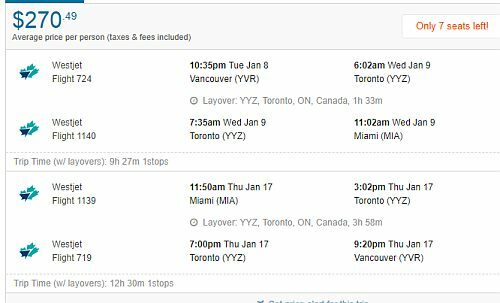 Update 11/8 - There are now flights from Vancouver to Miami available for $243 CAD roundtrip. vancouver, yvr, flight deals, westjet, miami, mia, florida, united states and north america.